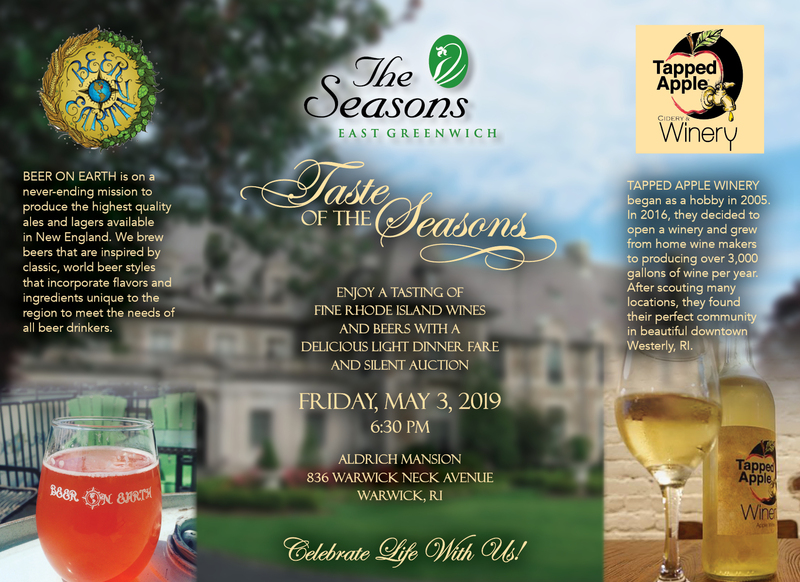 The Seasons hosts special events, such as our Taste of The Seasons Tasting & Auction, as fundraisers. This signature event features live and silent auction items, as well as raffles – in other words, something for everyone! Support for these events help to raise funds needed to provide resident programs and activities that are such an integral part of life at The Seasons. The Seasons is a special not-for-profit assisted living and retirement community. Supporting events and programs of The Seasons is one way your company can positively impact the quality of life for our residents. Families, employees and the greater community will recognize your efforts and your employees will feel good about helping such a worthwhile organization, and for working for a company that cares. Developing relationships with corporate sponsors is an important way for The Seasons to provide a high quality living environment, while inspiring and encouraging those within our care to enjoy the fullest quality of life possible. Corporate support for our mission helps to raise funds needed to support programs and activities that enrich the lives of those who live here. Join other corporate sponsors who are proud to support The Seasons and excited to see how their support makes a real difference.